TOP-RANKED ROOKIE: Elliott leads the 2016 Rookie of the Year contender standings heading into Pocono by 32 points over second-place Ryan Blaney and 62 points over third-place Brian Scott. Elliott has accumulated a total of 178 rookie points this year through the first 13 points-paying races. 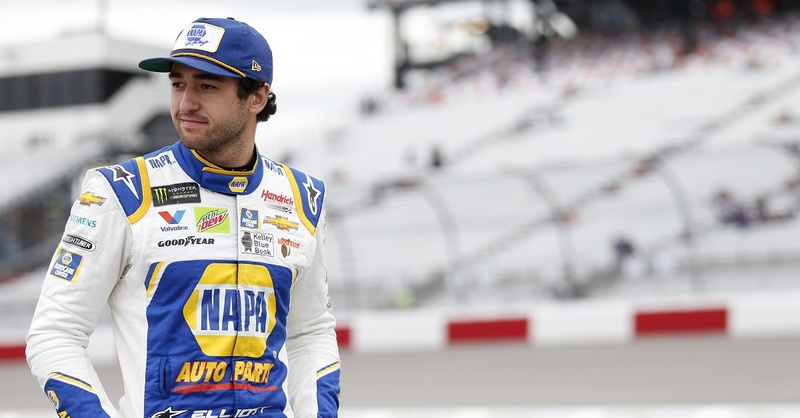 Among active drivers, his nine top-10 finishes are tied with teammate Johnson for the most top-10 finishes through the first 13 races of a rookie season. LOOKING FOR A WIN: Consistency continues for Elliott as he has earned four top-five finishes in the past seven races, accumulating nine top-10 finishes through the first 13 races. Only two drivers in the NASCAR Sprint Cup Series have more top-10 finishes this year (Kevin Harvick with 10 and Kurt Busch with 11 — both Sprint Cup champions). Additionally, only four Sprint Cup drivers own more top-five finishes than Elliott this year (Kyle Busch with nine, Harvick with six, teammate Johnson with six and Carl Edwards with five). As Elliott’s consistency increases so does his chance at closing in on his first Cup victory. According to NASCAR’s loop data statistics, Elliott ranks second in closers behind teammate and six-time Cup champion Johnson. 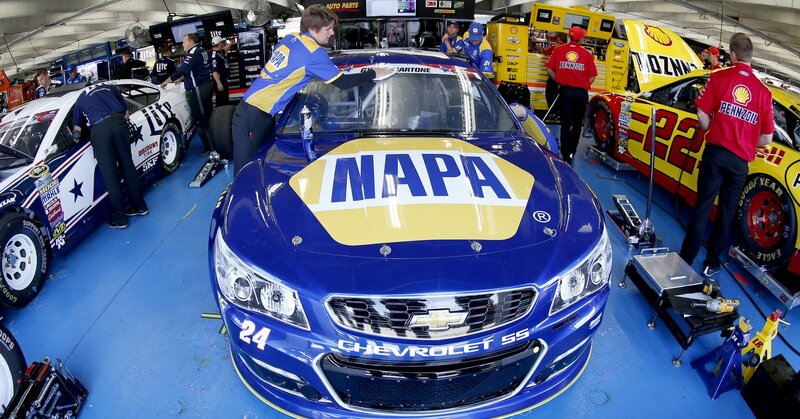 The Dawsonville, Georgia, native secured his first top-10 finish of 2016 at his home track, Atlanta Motor Speedway. 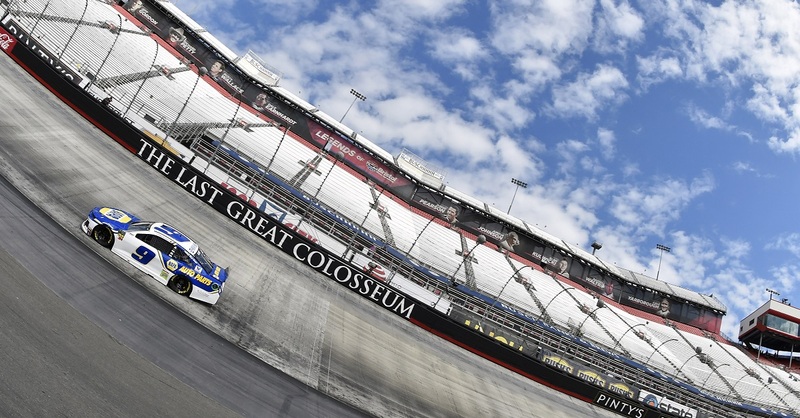 He earned his career-best finish, third, at Dover International Speedway earlier this month. SEASON STANDINGS: Elliott currently sits eighth in the standings with 374 points. The rookie trails points leader Kevin Harvick by 83 markers. 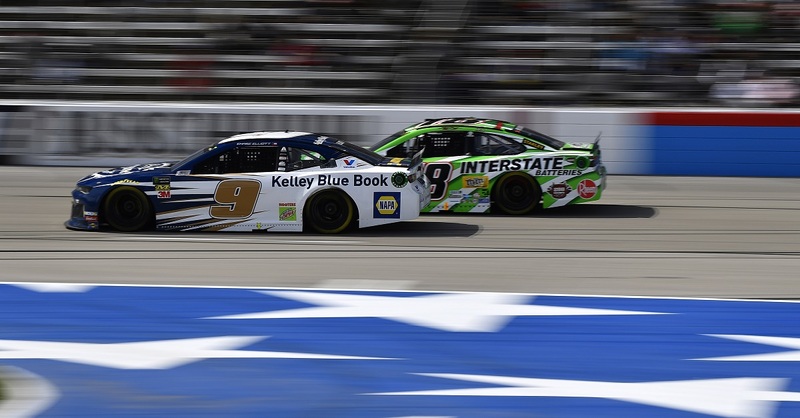 The 20-year-old driver is younger than any driver currently inside the top 16 – the amount of drivers NASCAR takes into its playoffs – while also being the highest ranked rookie. 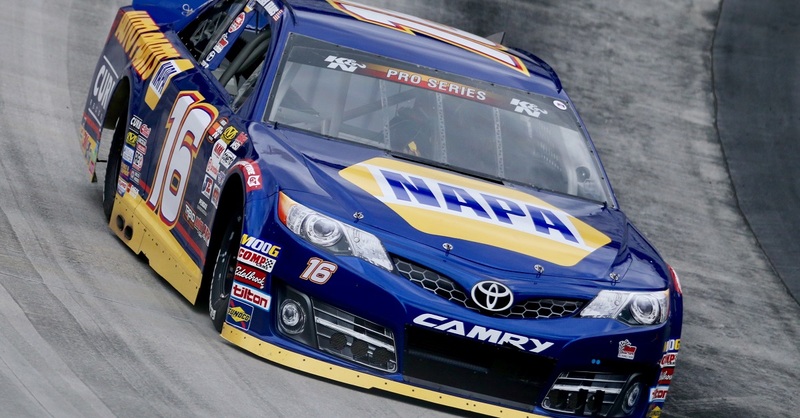 TOP-10 TEAR: The NAPA AUTO PARTS driver is on a top-10 tear, earning four of his nine in the past four races. Additionally, in the non-points-paying Sprint All-Star Race, Elliott raced his way to a sixth-place finish. MTV’S RIDICULOUSNESS: Elliott makes his co-hosting debut on MTV’s “Ridiculousness,” adding his own personal stories while reacting to the hysterical and absurd Internet videos highlighted on the show, alongside host Rob Dyrdek as well as Sterling “Stee-Lo” Brim and Chanel “West Coast.” Elliott headed to Los Angeles earlier this year to film the season seven episode that will air this Thursday, June 2, at 10 p.m. ET. Check out a sneak peek of the rookie driver on set here. Elliott helps host “Hall of Fame Dads,” “Victory Lapse” and “Personal Pit Crews” among other segments. MARK, SET, GET ANIMATED: Nickelodeon shifts into high gear with a series of six all-new race car-themed episodes of the hit animated preschool series “Blaze and the Monster Machines” featuring Blaze as a high-octane race car and guest voice appearances from superstar race car drivers including Johnson, Elliott and Kahne. The first special, “Race Car Superstar,” premiered this Monday, May 30, at 1:30 p.m. (ET/PT), followed by another all-new episode “Race to Eagle Rock” on Thursday, June 2, at 1:30 p.m. (ET/PT) on Nickelodeon. The remaining four race car episodes will roll out this fall. Elliott voices the race car character “Mark Set-Go” – a sensational race starter who kicks off each racing adventure with rock-star style and a signature rhyme. ELLIOTT AT POCONO: Elliott competed in five ARCA Racing Series races in 2013 in order to gain experience at larger circuits, running two of those races at the “Tricky Triangle.” On June 8, 2013, after capturing his first victory at Pocono Raceway, Elliott became the youngest winner in ARCA superspeedway history at the time.